Watch PTC News Live with High Quality On YuppTV. 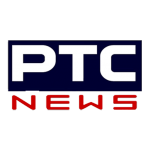 PTC News is a popular Punjabi television network from India and is owned by PTC Network. It features general interest programming including news, dramas, comedies, music and talk shows. From November 1 to November 20 the PTC News along with PTC Punjabi and PTC CHAK DE.